Have you ever sat down at your computer to write a blog post and ended up spending most of your time banging your head against your computer screen because you were clean out of post topic ideas? Running out of blog post ideas can make blogging feel like a chore. Believe me, I’ve been there and it stinks (and hurts…ouch)! 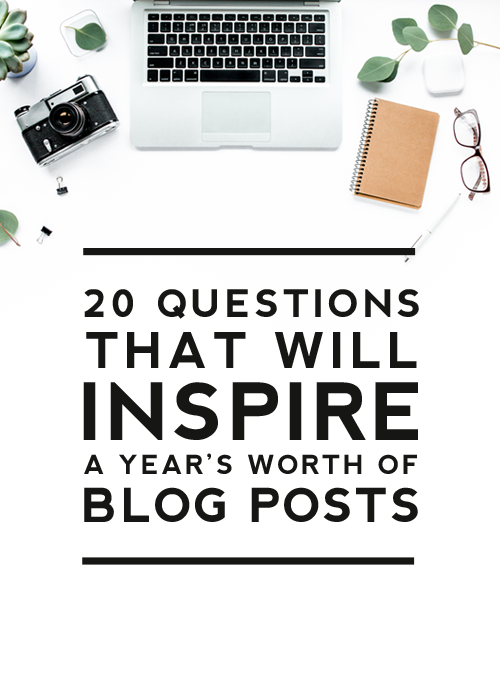 In an effort to help keep your forehead bruise free this year, I’m going to share with you some tips and a series of 20 questions that will help inspire an entire year’s worth of blog posts. These brainstorming tips will fill you with the inspiration needed to start posting on your blog like a boss! 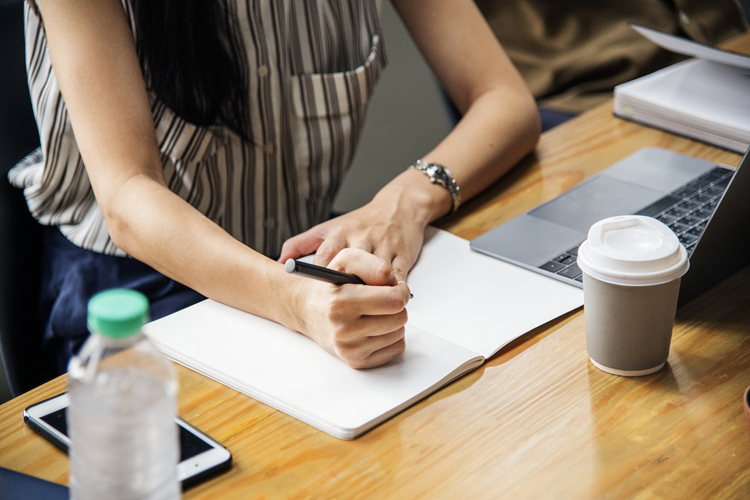 In order to have an effective brainstorming session, you need to set aside about an hour of uninterrupted time to focus on just one thing: brainstorming post topics for your blog. Growing a blog takes time and effort. You can’t grow a blog if you aren’t producing new content on a regular basis, so really take this brainstorming session seriously. If you have children, schedule your planning session at a time when your kids are at school, napping, or with a babysitter so you can create a focused, uninterrupted environment to brainstorm. I know you’re busy, but chiseling out time to plan and brainstorm really will make all the difference in the success and growth of your blog. 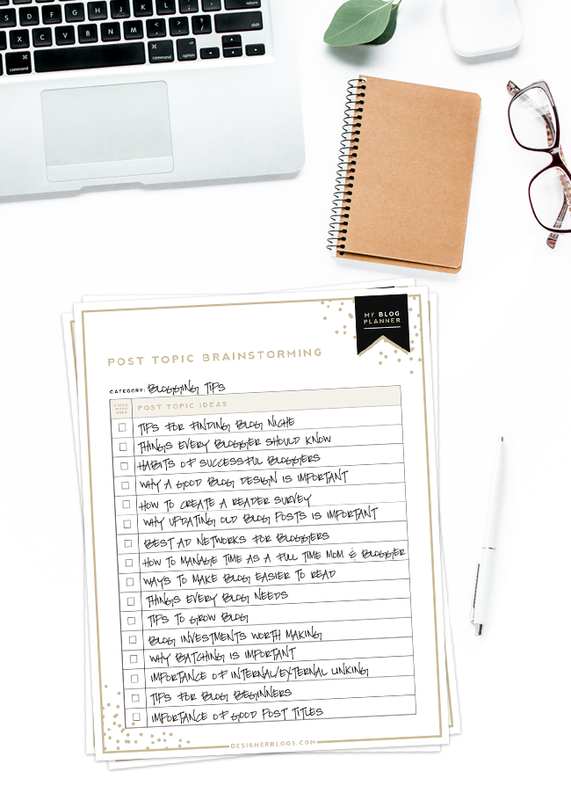 In The Ultimate Blog Planner, you’ll find a page specifically designed for post brainstorming called “Post Topic Brainstorming.” I recommend printing off one of these pages for each of your main blogging categories. Then spend 5-10 minutes per category brainstorming and listing as many post topics as you can think of off the top of your head. Just start writing. Don’t worry about whether it’s a good idea or not at this point. Jot down anything and everything that comes to you. You can weed out the not-so-great ideas later. Use HubSpot’s Blog Topic Generator to generate a list of blog topics on a given subject. All you do is enter in keywords (nouns) that you want to write about and it will spit out several post ideas that have to do with those keywords. Use Google Analytics to see which of your posts are the most popular. Then think of ways to can expand these posts into new posts with additional or more detailed information. Use Pinterest to generate ideas. View what’s trending and see if that inspires any post topics. You can also type a few keywords into the search bar for additional inspiration. If you’ve finished tip 2 and you still need more ideas, ask yourself the 20 questions below. Write down the ideas that come to you as you read each question and you’ll have a year’s worth of blog posts compiled in no time. 1. Are there any past posts you could expound upon, update, or do a follow-up on? 2. Are there questions you get asked often that you could write a post about? What products, services, or tools do you use every day? 4. What areas of expertise do you have that you could teach your readers about? 5. What types of how-to posts or tutorials could you share that would be beneficial to your readers? 6. What have been your most popular posts? Use these to inspire new posts. 7. Have you reached a milestone in your blogging journey, profession or life? Feature those milestones or achievements in a blog post. 8. Is there a blog in your niche or a professional in your field you could feature? 9. Do you have a product or service you could highlight in a post? 10. Is there a free printable or resource you could share with your readers? 11. How did you come up with your blog or business name? Share the story in a post. 12. What interesting stories or experiences from your life could you share? 13. Do you have a list of posts from other bloggers that you find helpful and refer to often? You could list a roundup of these posts as a help to your readers. 14. 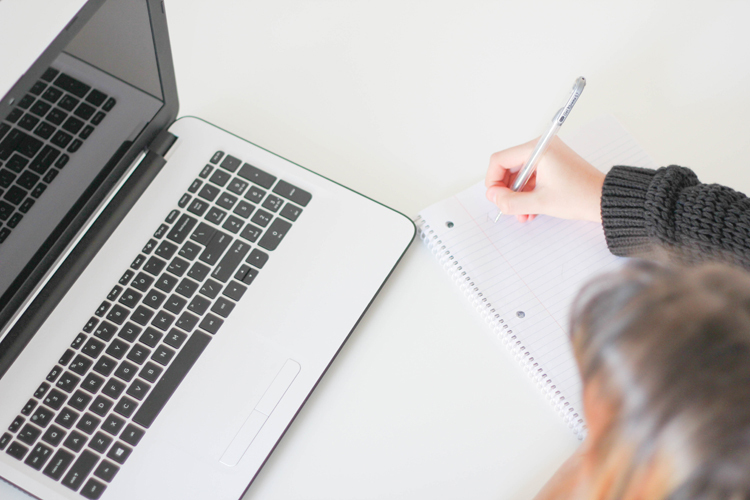 What have you learned along your blogging or professional journey? Share your successes and failures. 15. Who do you work with? Who helps make your blog successful? You could feature the people you work with in a memorable way. 16. Where do you get your inspiration for what you do? You could write about what or who inspires you. 17. Who do you know that you could ask to do a guest post on your blog? You could offer to do a guest post on their blog as a trade for them doing one on yours. 18. Are there products you use often and love that you could review or promote on your blog? 19. Is there a big project you’ve been working on that you could feature in a blog series? 20. Have you surveyed your audience recently? Creating a survey will help you find out what your readers would like more of. You can then implement their ideas in future posts. Here’s a recent survey we did that you can refer to as an example: 2018 Reader Survey Results. Thank you very much … very helpful! These brainstorming tips will be the next I’ll do for my blog! 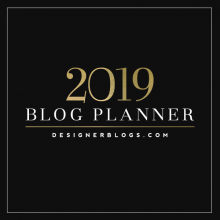 Great, that I have found your blog – and many thanks for that wonderful, clean and stylish planner! Thanks so much for this post. It actually gave me ideas for posts and even for IG. You are very welcome! Happy posting! Such an awesome post! Such great information and helpful ideas! Thanks for sharing! Thank You!! I need all the ideas I can get. There are some good ones here. This has been very helpful, thank you! As I was reading I was coming up with ideas already. Great to hear! Have fun brainstorming! Yes! It is so great to go back to old posts and revise them and see how you’ve grown with your blog. Great to hear! Happy posting! This is brilliant! I’m new to blogging and I originally started it as a therapy for myself but have decided I’d like to expand and broaden my horizons. Reading through your advise and tips have already got me brainstorming for future posts! Thankyou! Seriously, like this is amazing. I do right away download your Blog Planner and actually in love with it. This will makes my blogging experience even more fun than before, and it make so much easier too. I’ve been in a rut with writing and this really helped. Thank you so much! Im definitely pinning this! These tips are so helpful. This article helpfull to new blogger like me. This is a great post. I often keep a little note book with me at all times. And jot the idea down. You never know when inspiration will hit you, so that’s such a great idea Nadia! Thanks Ann! We hope it helps you come up with a lot of great ideas for your readers. 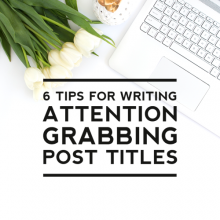 It’s great that you are focusing on posting about topics your readers want. 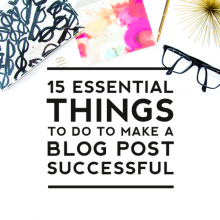 That’s so important in growing a successful blog. Best of luck to you! Thanks Hayley! We hope these questions help! Thank you!! Great Ideas to get my brain thinking!! Great Post!! Love the 20 questions! Great Article! Thank you for such helpful tips! What a great post! Thank you so much for these. The 20 questions really help me brainstorm posts better. I always believed that blogging is a great way to get discussion out in the open and bring people together from all walks of life. Great list! When I think of a topic, I just start writing. I can edit later but I just sort of word vomit on my phone. It helps for when I am not sure if I have anything, I can go back to one of these. Great post, really helpful for when you get writers block! Happens to us all at some point so really good to have some inspiration! Thank you so much for sharing your tips! I had just sat down to start brainstorming my posts when your email popped into my inbox. Thank you so much again, I really appreciate your tips and questions they were super helpful (and timely)! love this post! so so helpful and will definitely inspire new post ideas. Thanks on posting this. That Hubspot link is perfect for figuring out what to write! OMG!!! Thank you so so so much! I was lately a bit unproductive and my brains were not functioning. This HAS HELPEDDD meeee!